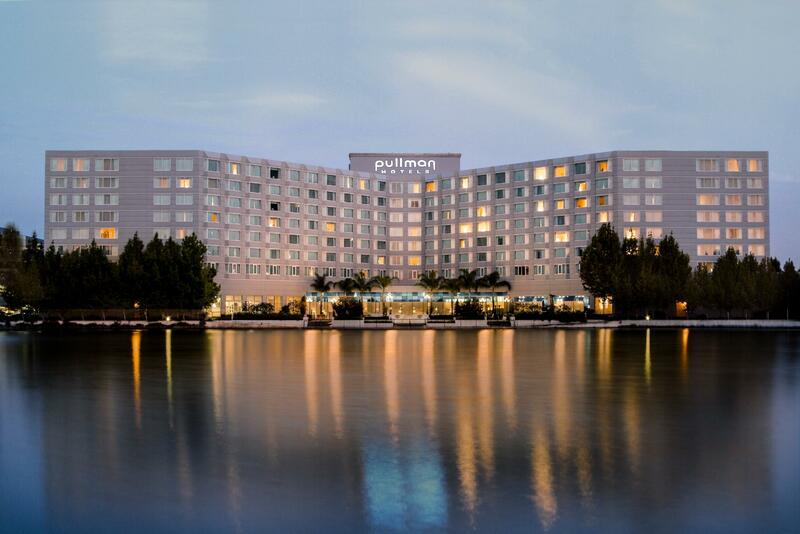 "The facilities were great and the staff was great, especiall..."
Have a question for Pullman San Francisco Bay Hotel? "Staff were also very friendly and accommodating." "Nice 5 star hotel in an office location." "This is a great hotel very modern with everything you would want in a hotel." "Business hotel, near major tech companies nearby." 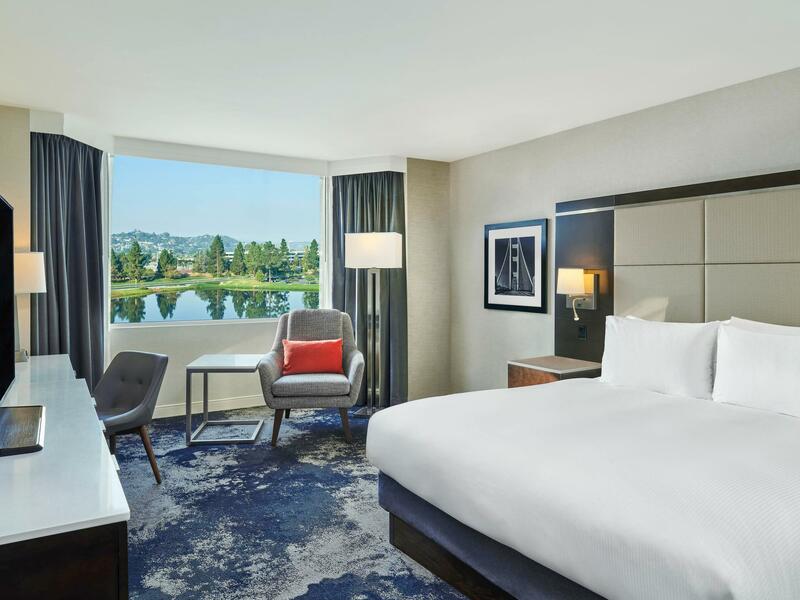 Conveniently located in San Francisco (CA), Pullman San Francisco Bay is a great base from which to explore this vibrant city. From here, guests can enjoy easy access to all that the lively city has to offer. For those of you who want to venture out, San Mateo Medical Center, Mariners Point Golf Center, San Mateo Arboretum are just some of the attractions available to visitors. 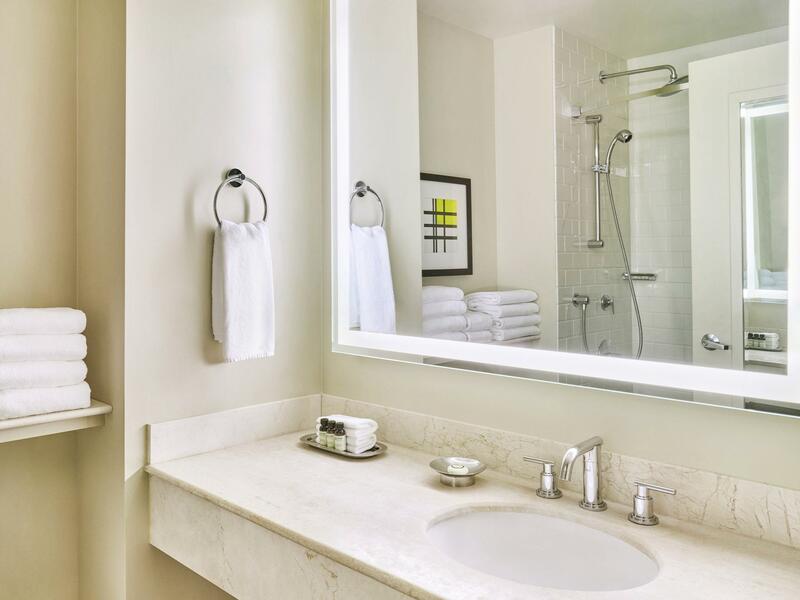 At Pullman San Francisco Bay, every effort is made to make guests feel comfortable. To do so, the hotel provides the best in services and amenities. Top features of the hotel include 24-hour room service, free Wi-Fi in all rooms, facilities for disabled guests, Wi-Fi in public areas, valet parking. Guests can choose from 421 rooms, all of which exude an atmosphere of total peace and harmony. The complete list of recreational facilities is available at the hotel, including fitness center, golf course (on site), outdoor pool, massage, tennis courts. 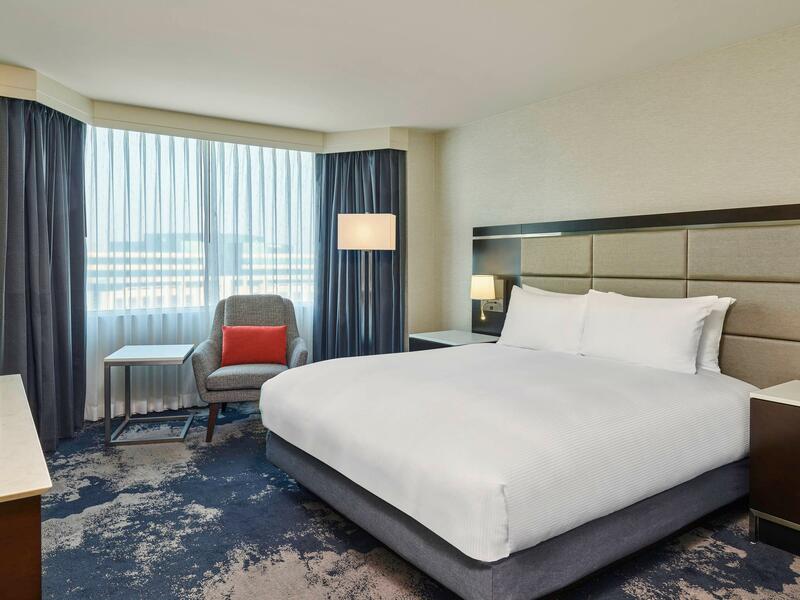 With an ideal location and facilities to match, Pullman San Francisco Bay hits the spot in many ways. "Hi this hotel is so clean and quiet and good service." Pros: cozy and clean Cons: staff is not very helpful and responses not so fast. Parking is very very expensive cost $28. Location not so good, food and other facilities not so easy to access. Need at least 15mins driving. I had an appointment at Stanford Health Care in Redwood City and didn't want to stay at the Best Western there, thus going to The Pullman. The facilities were great and the staff was great, especially the bellmen. But the choice for dinner - very poor and not enough selections. So we stayed in the bar and had fabulous bar food. The breakfast the next morning - again a poor selection of food. My blueberry pancakes were thick and not done in the center. I couldn't eat them. The hostess took the charge off the bill. I don't know if we'd stay there again because of the poor selections. Maybe next time, we'd eat at the Market Place for breakfast. This is a great hotel very modern with everything you would want in a hotel. Lovely pool area, gym. Rooms spacious and clean with very comfy beds. Breakfast was excellent. I gave a 2 for location because you need to be prepared to get Uber or BART train into city which we did. The hotel bus has airport pickup and drop off and you can use this service to go to Bart station at airport to visit city etc. Very nice hotel. Room was spacious, bathroom had nice facilities, and more importantly it was clean! Staff were also very friendly and accommodating. Two downfalls are that the carparking fee of $25 per day is quite steep as there is no other place to park within the area and the other downfall is that the hotel is quite far from San Francisco city. Nevertheless, the hotel is really nice and definately worth the money. I would still rate it 4-5/5. My wife and I were visiting our family in the Bay area. This is our second stay at the Pullman Hotel. It became the locus of our vacation. Our room was beautiful, with large bathroom with both bathtub and shower. It was exceptionally quiet, well-appointed with blackout curtains, very comfortable bed and large tv. I enjoyed the outdoor pool and we both had cocktails at the bar. The hotel itself was a vacation spot. Convenient to the SFO airport. We highly recommend it. SInce we had our own transportation to and from the airport, I don't know about a hotel shuttle, though I imagine there is one. five stars. Business hotel, near major tech companies nearby. SFO is just about 20mins away from here. Stayed for one night before departing the following morning. Decent business hotel but the location is middle of nowhere in Redwood City area other than being near to Oracle HQ and coming back from a night out would cost much more with a surcharge on a yellow cab as couldn't take Uber as phone was flat. The Asian doormen in this hotel has rather bad attitude, do note and experience it for yourself. It was fabulous...everyone very friendly and helpful...a little far from the airport but worth it as it is a beautiful, upscale hotel for a reasonable price. We were only there overnight between flights but thanks to the extremely helpful shuttle driver who advised us where to go, how to get there and places to avoid, we had a wonderful evening. Hotel is nice enough, but I was in SF for business, everything downtown and area was sold out, so we ended up out here. Was an hour trip into downtown and another back, which added quite a bit of cost and travel time into the trip. A business hotel filling up rooms with leisure guests and tourists is never a good match. Staff is not comfortable with the needs of these customers and when problems occur they have trouble solving them. Overpriced food and beverages. The hotel is lovely and the weekend rates are excellent values for individuals who are not traveling with an expense account. Complementary shuttle to the airport is a plus. Must have a car if you are visiting the surrounding areas. Parking fee is $25 per day with in/out privilege. I would return for their weekend rates. Hi this hotel is so clean and quiet and good service. It’s pullman. Germane standers. Is the best. The room is spacious, very clean, Keurig coffee machine, refrigerator, comfortable bed with a duvet, large screen television. The only slight negative is no microwave .